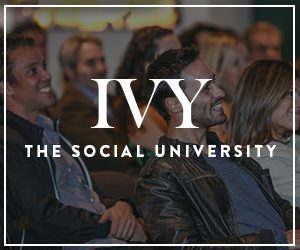 Meet Dave Grossman — entrepreneur, angel investor, and IVY Member for three years and counting. As a serial entrepreneur, Dave has collected millions of frequent flyer miles and hotel points and traveled the world in style — all for free. He blogs about it at MilesTalk.com. Dave shares his tips of the trade in this video, including the number one mistake people make with points and miles and how to earn miles by simply living your life. To learn more about how to travel the world on a small budget, grab a copy of Dave’s book, MilesTalk: Live Your Wildest Travel Dreams Using Miles and Points and join his private MilesTalk Facebook group. He’s also on Twitter and Instagram.